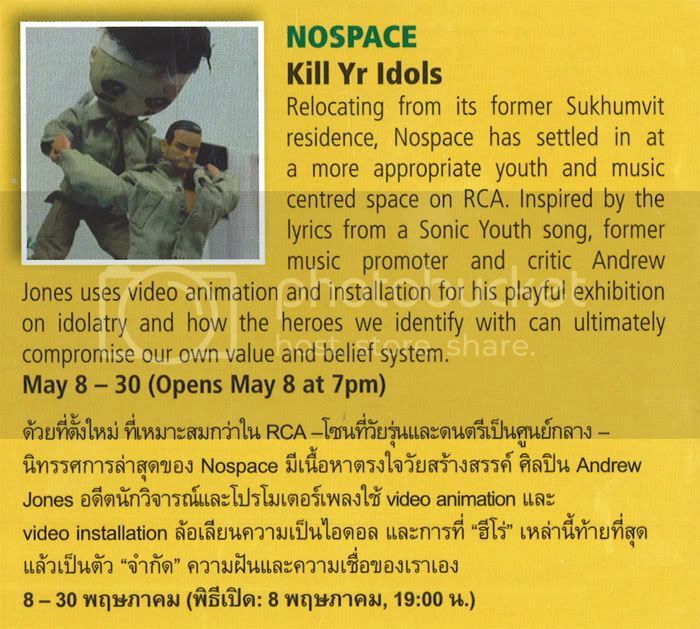 An art exhibition about idolatry, identification, and fake blood. 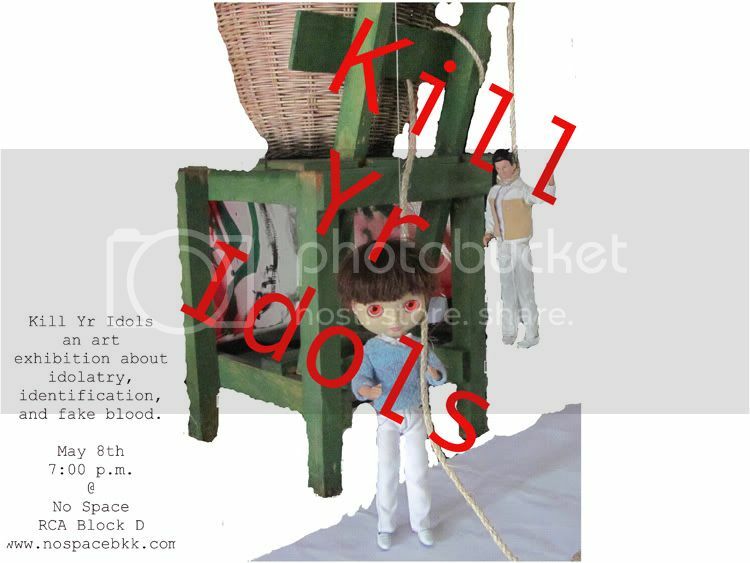 In Kill Yr Idols the lyrics of a Sonic Youth song are used both for irony and commentary on a wide range of subjects including heroes both local and international and the people that ultimately identify with in order to comprise ourselves. Andrew Jones is a former music writer and promoter. He was one of the founders of Push a night for progressive and experimental electronica and hip-hop in Orlando, Florida. He has also written for publications such as Xlr8r, Skyscraper, The Orlando Weekly, Sleazenation, The Wire, and others. Additionally, Andrew also started the LNF Pool a monthly night for free improviser that tied local disco djs to free jazz bassists and he wrote software in Supercollider to improvise with them. Mr. Jones has also done a few little art pieces over the years including a small piece called 7 Incomplete Improvisations for Free Manifesta and wrote some copy for guydebord.com by Miltos Manetas. Working as a critic he became more aware of the various vocabularies the arts use for expression and his work as music critic became a sharpened analytical tool that frequently revealed the nostalgiac underpinnings of late nineties pop music and electronica. Since then he's worked on several electronic projects including an album with Tom Smith and has devised a few conceptual pieces here there and the occasional short story.